The turmoil in the European automotive industry has seen a record number of used cars sold cross border in 2018, according to Autorola. More than 150,000 used cars were either imported or exported via the Autorola online remarketing platform in 2018, which accounts for 21% of total vehicles it sold online. This figure was as high as 60% in some countries where demand for diesels fell due to new emissions legislation, while several European countries are importing cars to cater for major used car shortages. It has meant Autorola working with more vendors to develop pan-European remarketing strategies to accommodate the cross-border exchange of used vehicles. “Europe’s biggest challenge is how countries respond to introducing new legislation to improve air quality,” explained Morten Holmsten, global sales director, Marketplace. “Legislation has caused used diesel demand to fall dramatically in some countries causing a major challenge for the likes of leasing companies where thousands of used diesels are being de-fleeted every week,” he added. Germany and France are leading the way to reduce emissions and improve urban air quality which is forcing more diesel used cars to be exported to Poland, Africa and the Middle East. Belgium is also exporting more cars following new fiscal reforms that incentivise buying petrols, hybrids and EVs, while up to 55% of ex-lease stock from the Netherlands is being exported to Portugal, Croatia and Romania. Germany and Belgium are in turn importing more petrol used cars to balance the supply, while the Netherlands is importing cars from Denmark and France. European new car sales plummeted in 2009-2011 due to widespread recession, with countries like Portugal, Spain and Italy hit the hardest. It took these countries the longest to recover, but now their economies are growing the demand for used cars is outweighing supply and they are utilising the MarketPlace portal to source cross border stock. Portuguese dealers are importing €10-12,000 cars from the likes of France, Germany, Belgium and the Netherlands while Spanish dealers are sourcing three to eight-year-old sub-€10,000 used cars for its customers. “It’s exciting for our Marketplace platform to be at the heart of the European remarketing industry supporting the ever-changing supply and demand for used cars. 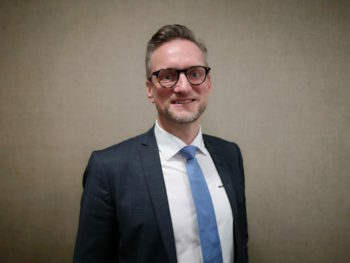 This trend for importing and exporting used cars looks as though it will continue in 2019, and already we are looking at new export markets for future cross border activity,” said Holmsten.